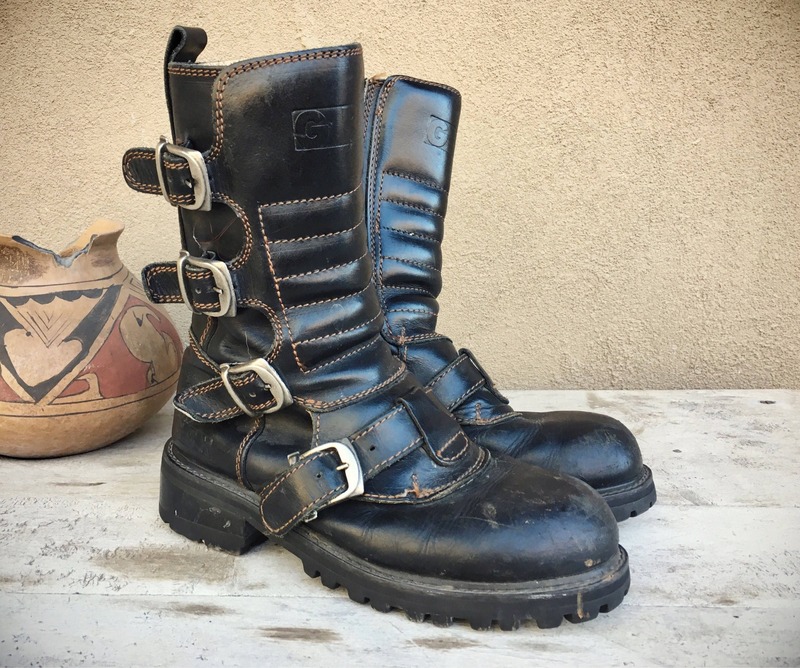 These boots are so cool! 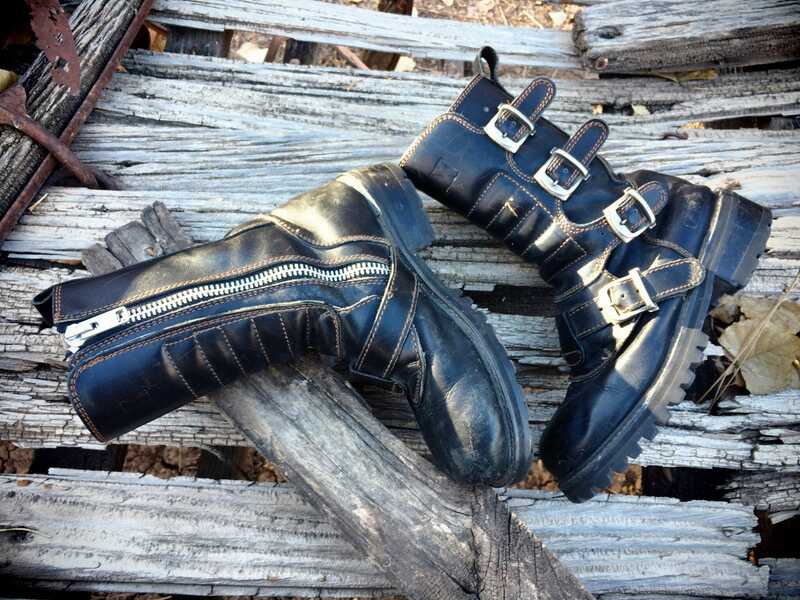 Authentic grunge, 90s punk, great goth look. What's especially great is they're a Women's Size 8, and pretty true to size. 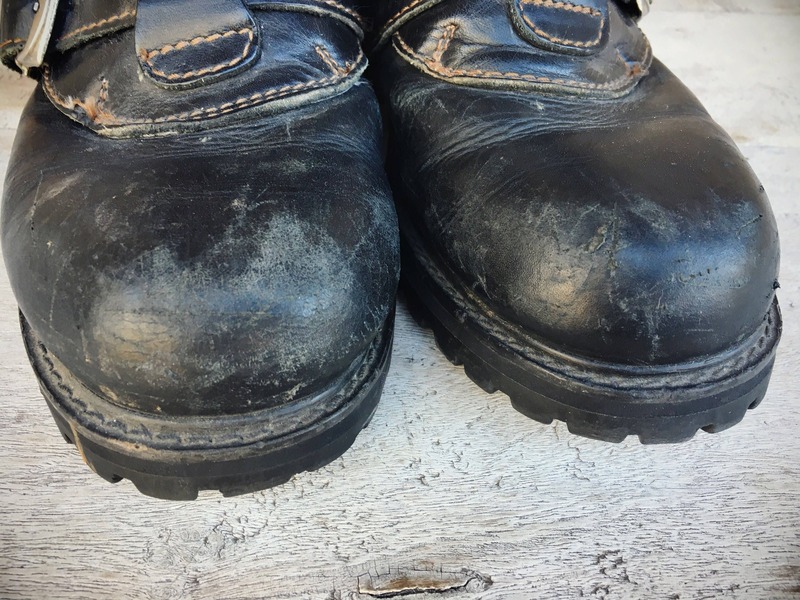 Super distressed from wear, which adds to their cool factor. 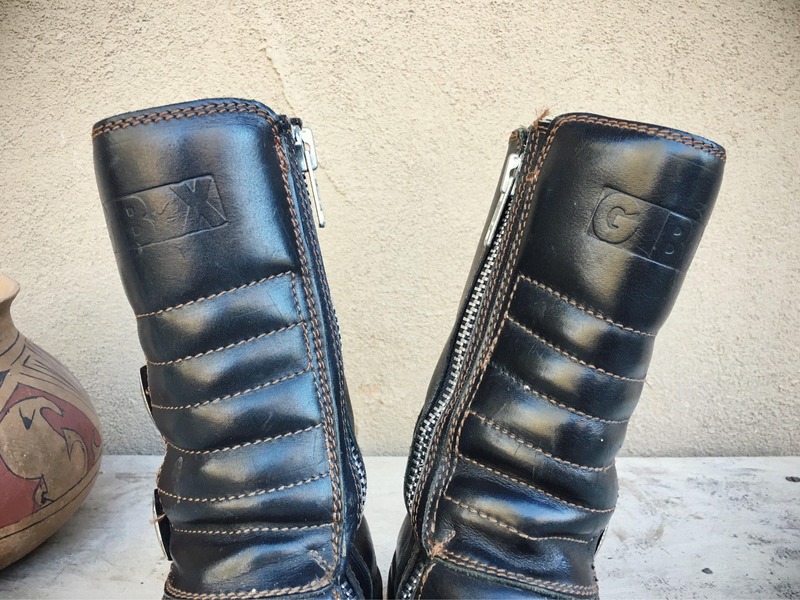 Made by GBX, they have the look of motocross boots. 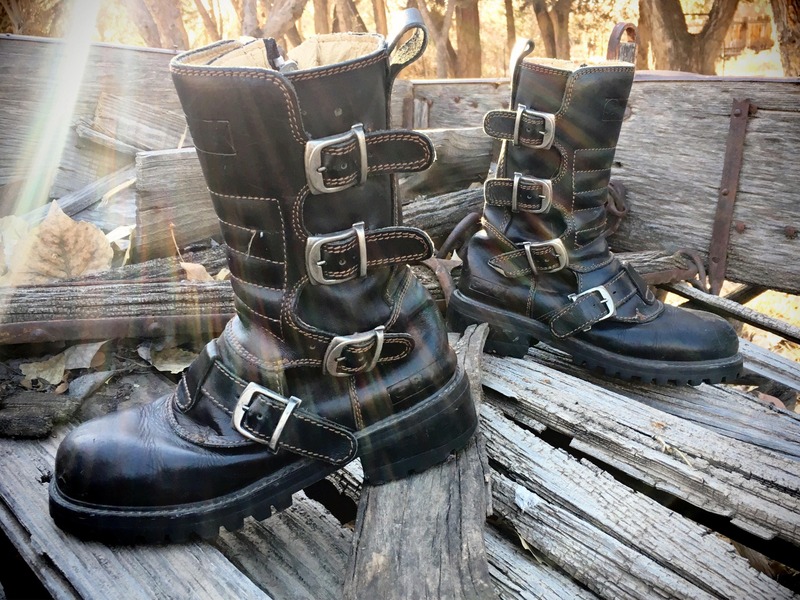 Four straps with buckles, puffy cushioned front, a chunky zipper up the inside, and a nice fat tread. 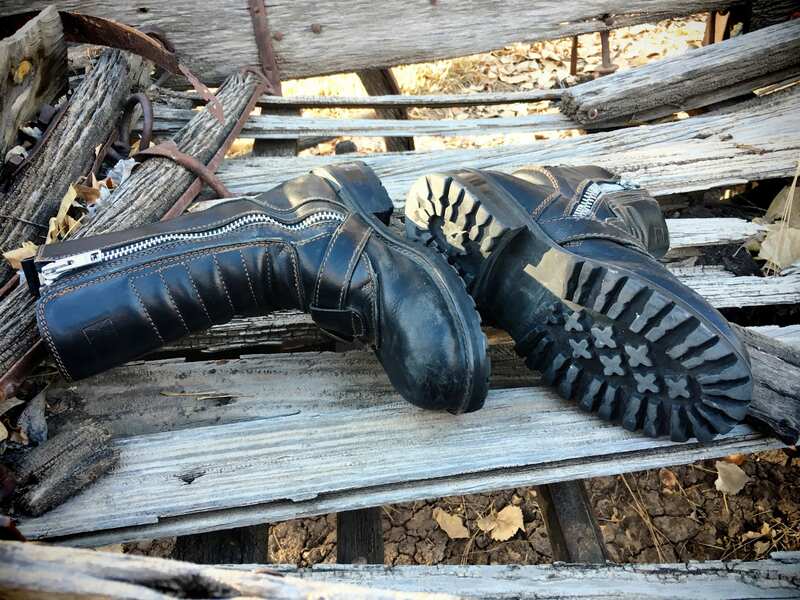 They've seen a lot of action, yet are made to last and will carry you through a lot more. 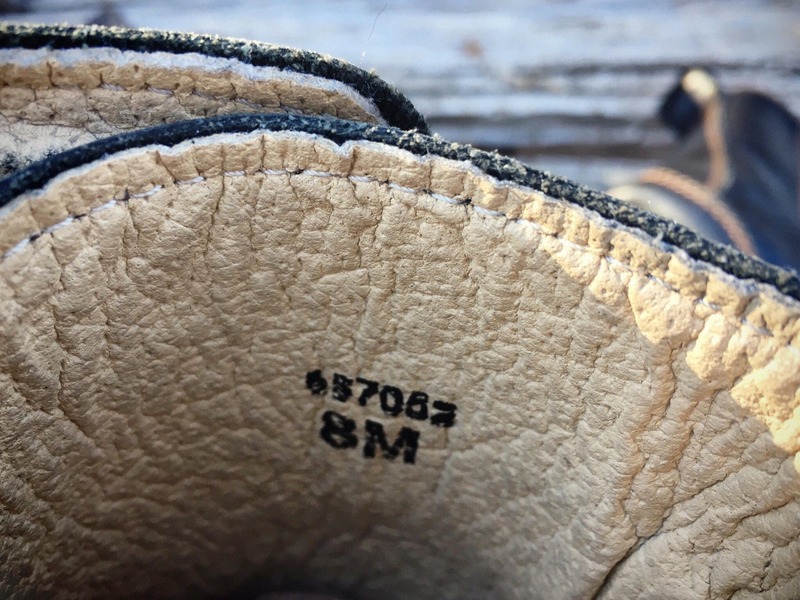 The toes have a lot of scuffing, and the back heel of the sole is worn down about 1/4" in some places. 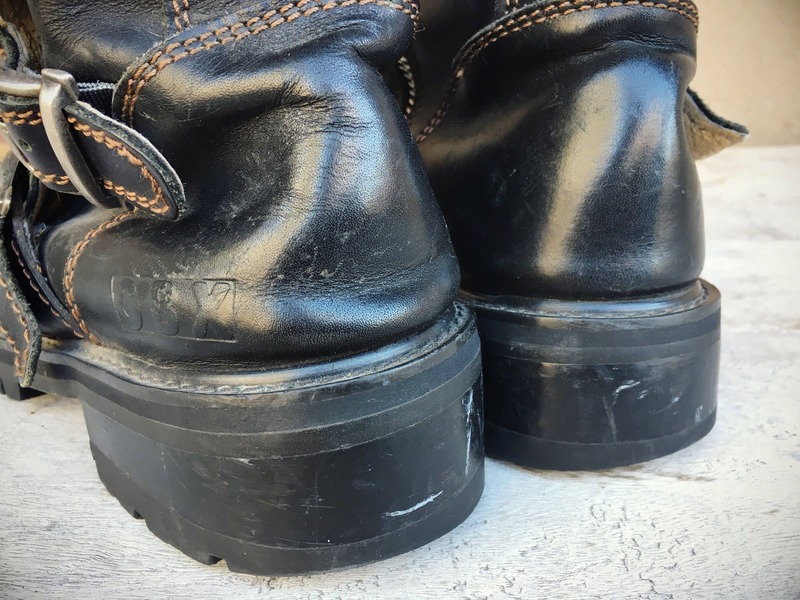 Deep creases that will spare the next owner the pain of breaking in such thick heavy--each boot is about 2 pounds--boot. 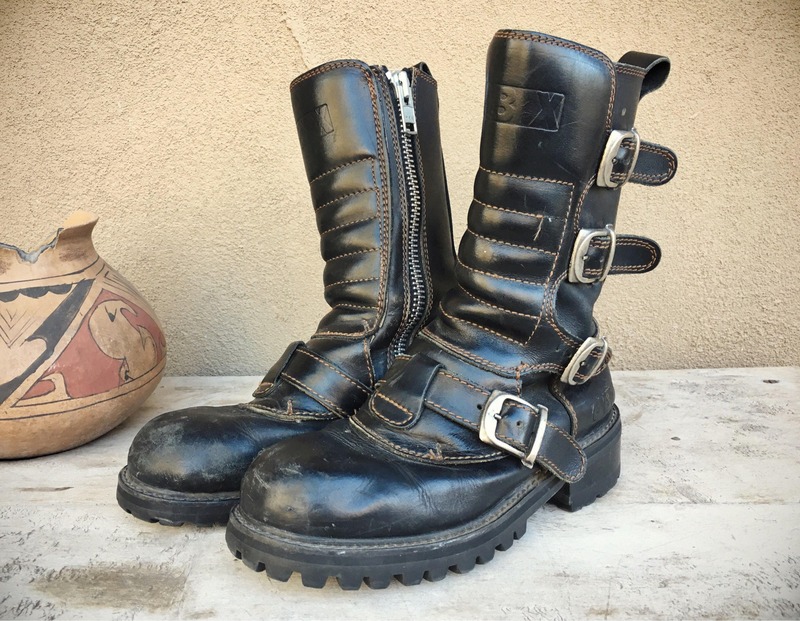 Goth, grunge, combat--all that to say a timeless pair of boots. 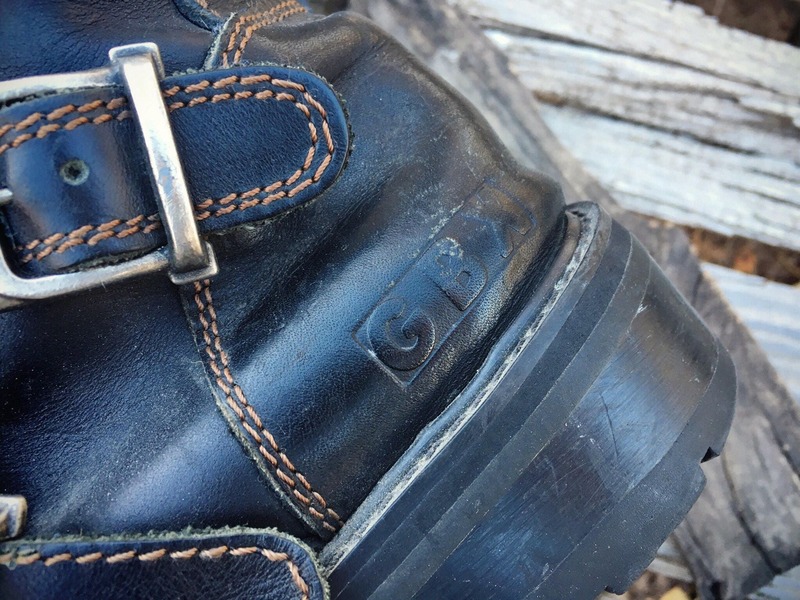 Shaft, down back from top of the heel (not ground) to the top of the leather upper: just under 9"